YATES began turning heads in 2014 with a number of self-released tracks which gained radio support from leading tastemakers like KCRW and Triple J and led to collaborations with Booka Shade, Monkey Safari, Nina Jirachi, Kilter, Love Thy Brother, Running Touch, and Plastic Plates. 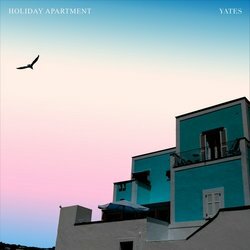 YATES has since signed to Sweat it Out and the upcoming EP "Holiday Apartment" will be his 2nd release on the Australian label. The tracks were recorded at Yates adopted home in Berlin last year together with his musical partner Rene Corbett and produced by Alexander Burnett in London in March 2018 with YATES taking into account in how the songs would work in a live context. YATES applies dance music's minimalism to give a newfound sense of texture to his previously chosen soulful pop music. ‘34m2’, leans a little closer towards the indie-rock realm. The track captivating, still maintaining YATES soulful vibe.